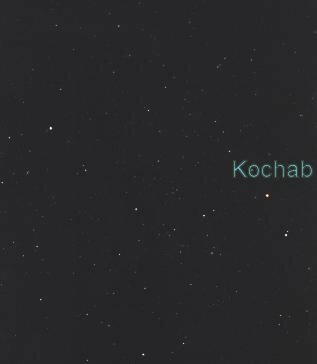 Ursa Minor, with Kochab labeled. Kochab has exhausted its core supply of hydrogen and is an evolving orange giant star probably at the stage of helium-burning. It is also classified as a mild barium star.